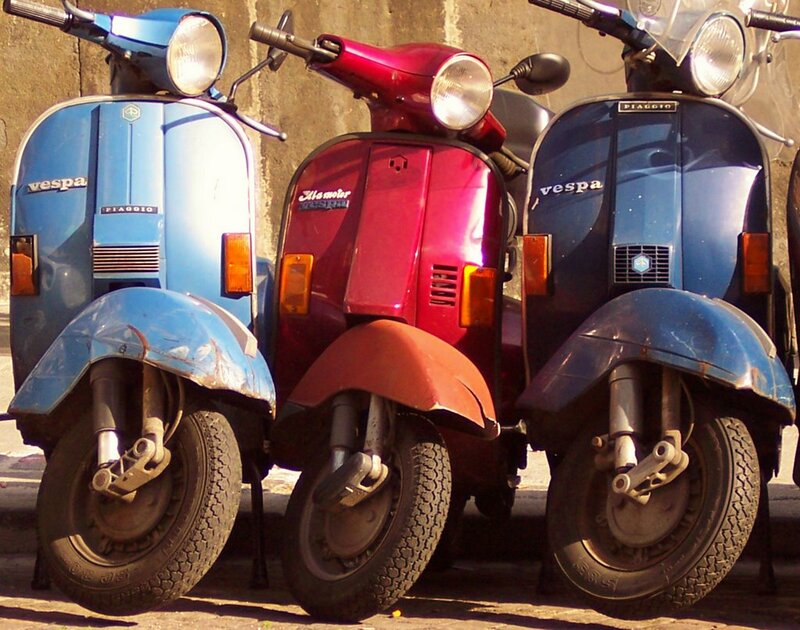 These 3 little vespas, it appears, have resigned to their broken fate of life on the mean streets of Napoli. yeah i guess they look a bit tathered. I used to have a Honda Passport for the streets of Pasadena and LOVED that thing. Just my speed. But of course, I didn't have to contend with the kind of traffic you must have there in Italy.